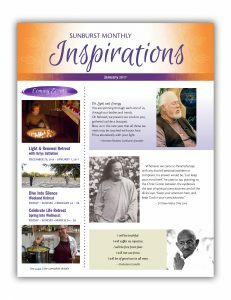 Sunburst Monthly Inspirations offers inspiration, insight, encouragement, news and announcements. Sign up to subscribe to our e-mailed version. Gifts to help cover production costs are most gratefully received! Donate here.